Hello breezy Monday! I woke up to some pretty chilly air this morning, but not quite ready to crank the heat on just yet. Fall has to be the best season for me...changes in temp, the leaves changing colors, and getting cozy by the fire...how could you NOT love it?! 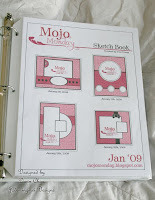 Today I'm sharing a sketchbook that I created for my dear friend Donnak. Her birthday was not too long ago and her gift had to be handmade! 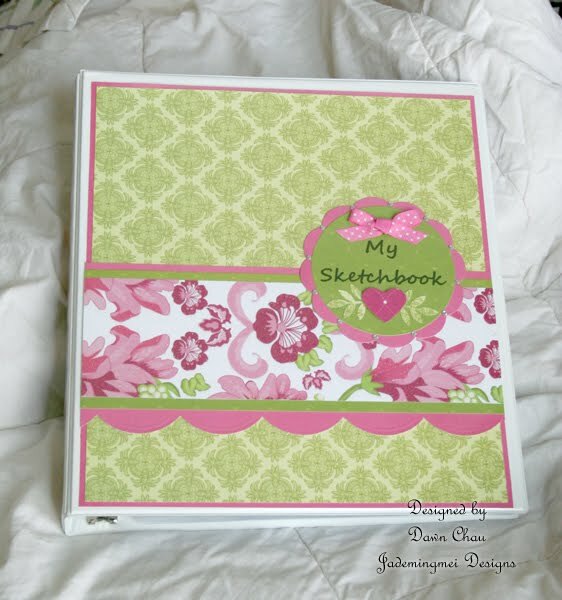 Between the both of us, we could open up a paper crafting shop, so because she has every supply out there, I thought creating a sketchbook would be perfect! 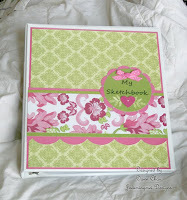 The paper I selected is from The Blossom Song Pack. Lots of pretty papers in this pack and subtle glitter galore. I bought a 1 inch clear binder and cut my papers to size, then slipped them inside the clear pockets. Since this binder will probably be displayed on a bookshelf, it needed to have have a spine title as well. 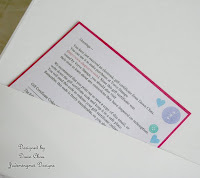 Letters were stamped with a PTI alpha set and then I used my circle punches to punch out and matte. 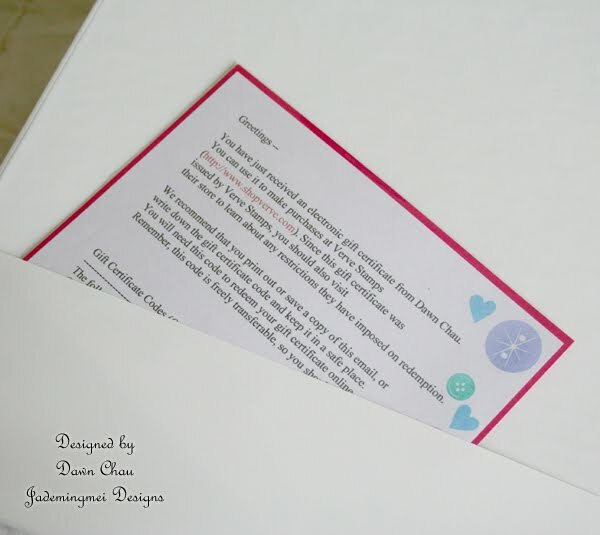 On this inside flap, I printed off a Verve gift certificate and did a little simple stamping down the side. Inside the contents are put in page protectors and I printed off a few years of sketch designs from Verve and Taylored Expressions. 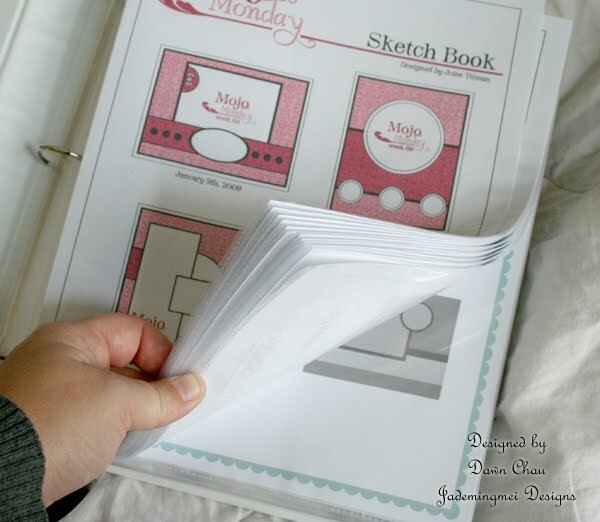 These are free printables and I was sure to add some extra page protectors so Donna can always add more at a later date. Happy Crafting! All this because you are a wonderful friend! I still have my book on my desk because it's beautiful and makes me smile! 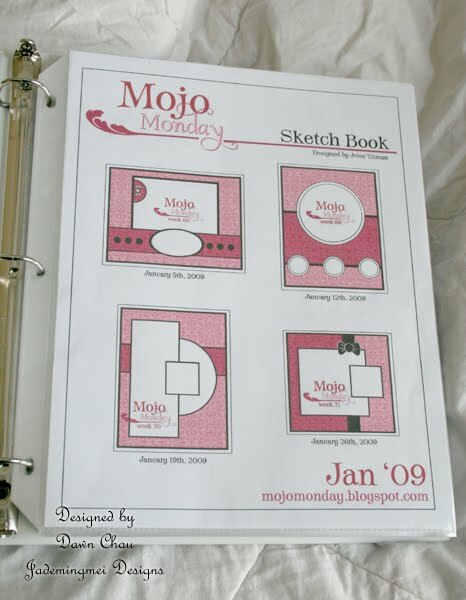 I added a few more sketch pages and just LOVE the idea. Wouldn't this be fun for recipes too?! Cute idea Dawn. I need to make one of these too! Come on and Etsy with me! Where I like to go broke!